Is it hard to get your children to become excited with learning? Do you feel that there is something missing from your teaching? Sometimes you're just discouraged from teaching because there doesn't seem to be any fun in it at all. 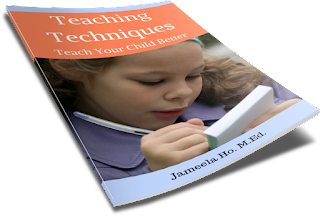 Your children seem to be draining all your energy, what with you pushing them all the time to learn. Teaching and learning should be fun! It can be - if you know how. You will know how when you read this book! This is a short 3000 words ebook, so you'll learn all this in 30 minutes or less. Not sure why but I think it's to do with the browser...maybe open a different browser. Otherwise message me your email and I will send you. You need to subscribe by filling in your email in the above box so that it can be sent to you.